The Array AG has multiple methods and schemes for authentication. The AAA section is where this all configured. You will have to define the LDAP servers and the method that will be used. 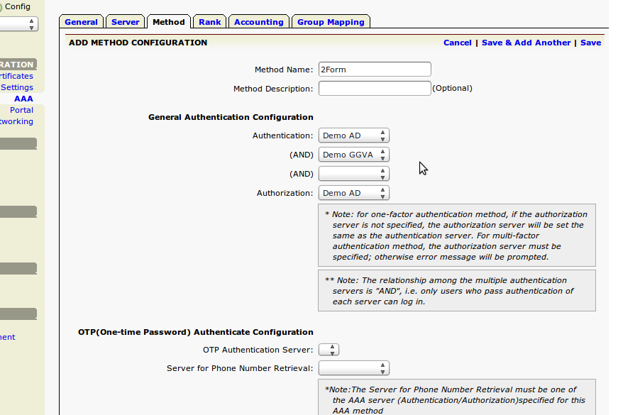 LDAP is not under "Base System", you will need to select "Virtual Site"
In order to integrate the GridGuard-VA with 2Form authentication to the Array AG, you will have to add a secondary authentication source. 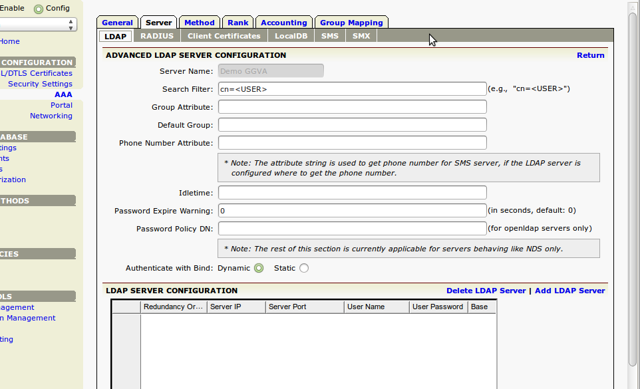 The preferred method for connecting the Array AG to GridGuard is via LDAP authentication. Now you have to define specifics of the LDAP connection. 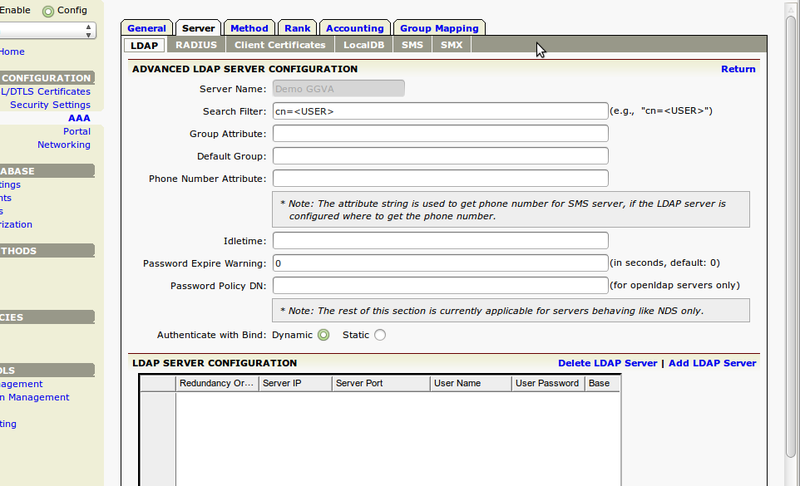 Click on the 'Add LDAP server' link. Once the GridGuard-VA LDAP server is defined, the server must be applied to a method. Click on the 'Method' tab and then add a new method. Also make note of your method identifier. You will need it during your login page customization.